A nurse prepares to give a patient a vaccine. According to data from the Philadelphia region, vaccinations rates among children with health insurance are increasing. Despite vaccinations having prevented some 3 billion infections and 500 million deaths, a sentiment exists that vaccines pose serious threats to children. This fear has taken various shapes over the last two centuries, but its most recent iteration claims that vaccines are linked to autism, a condition that increasingly has been diagnosed in recent decades. That theory mostly emanates from a 1998 study that not only has been debunked by additional research, but also was conducted by a man – Andrew Wakefield – who later lost his medical license. Nevertheless, vaccine denialists persist, threatening to undo the benefits achieved from decades of widespread vaccinations. Diseases such as polio, diphteria, smallpox and the measles are now incredibly rare within developed countries. But vaccines not only have resulted in fewer deaths and hospitalizations, said David Weiner, executive vice president of the Vaccine and Immunotherapy Center at the Wistar Institute. They've also had an unintended consequences. "In fact, for the most part, our memory of the infection goes away," Weiner said. "That's a big problem. We don't remember what happens when we don't get vaccinated anymore. That's causing a lot of the issues." Weiner discussed vaccine denial – and the role the media has in spreading it – during a panel discussion Monday at the University of Pennsylvania. The panel discussion was just one of 30-plus events being held at Penn as part of a Teach-In Series. Open to the general public, the free, weeklong series is the first coordinated by Penn since 1969. According to the Ivy League school, the Teach-In is a response to a "growing disregard and politicization of facts, data, research and science" that "threatens the fundamental principles of colleges and universities." The series, which began Sunday and runs through Thursday, will include discussions on gun violence, race relations, women empowerment and immigration, among others. On Monday afternoon, the topic of vaccine denial brought about 200 people into Rubenstein Auditorium for a panel discussion moderated by WHYY reporter Maiken Scott. Changing communication styles have enabled misinformation to spread rapidly, particularly on social media, the experts said. That has fueled a concerning level of anti-vaccine sentiment and allowed manageable diseases to rear their heads once more. How can the vaccine denialists be countered? To start, the importance of vaccinations also needs to be stressed to younger generations that did not grow up with the threat of diseases such as polio or measles, according to Dr. Paul Offit, director of the Vaccine Education Center at the Children's Hospital of Philadelphia. Offit said his parents saw diptheria as "a routine killer of teenagers" and polio as a "crippler." As a child, he suffered from both the measles and the mumps. Neither generation needed to be convinced to vaccinate their children, he said. "My children are 25 and 23," Offit said. "Not only did they not see these diseases, they didn't grow up with these diseases. To them, this is all a matter of faith." 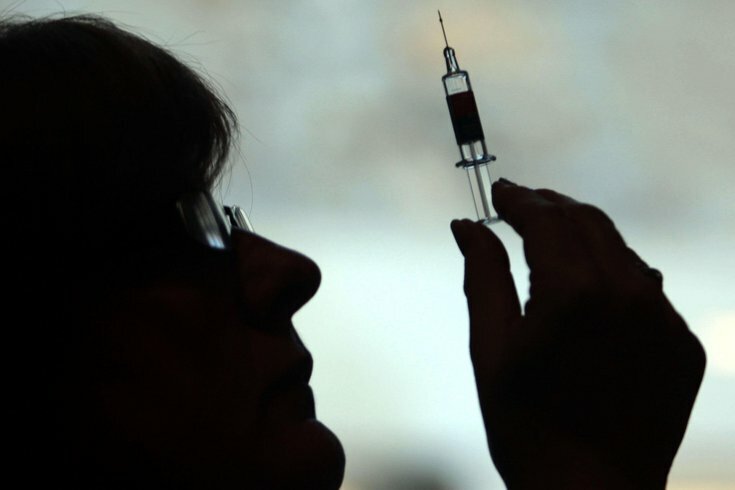 Offit said the medical community needs to better explain why vaccines are still necessary – particularly among the physicians and nurses delivering the vaccines. "It's not just a matter of facts," Offit said. "I think it's a matter of being passionate, of saying 'Look, let me love your child. Don't put me in a position of practicing substandard care. Don't ask me to send your child out into a world where there is more measles, more whooping cough. Please don't put me in that position." Taking advantage of unfortunate events – such as a measles outbreak – to stress the importance of vaccinations also is essential, said Joe Cappella, a Penn communication professor and author of "Spiral of Cynicism: The Press and the Public Good." When Katie Couric got a televised colonoscopy after her husband's death in 1998 from colon cancer, that prompted an uptick in colonoscopies. "Those dramatic events can be effective if we take advantage of them," Cappella said. "Unfortunate as they may be, they can be turned to good." To convince people that vaccines are indeed safe, Cappella said medical professionals must push stories in the same way vaccine denialists do. "One of the ways that vaccines have been undermined is through the telling of stories that have appealed to the individuals who are being targeted," Cappella said. "I think the same strategy works in reverse. That is the telling of good stories – that are simple stories – that operate our of the worldview ... of the people in the targeted audience." Doing so will help legitimize vaccines in communities where people are questioning their effectiveness, Cappella said. Scott, a health reporter for WHYY, added that many people – including journalists – don't understand difference between correlation and causation, which can create confusion. "I was joking last week that the Philadelphia Flower Show does not cause snowstorms, even though it might appear that way," Scott said. "Because every year when the flower show happens, there is a big snowstorm. But I think people struggle with those concepts."